The principal of the firm Sergio Nicolau commenced his legal career as a paralegal to an international corporate law firm with offices in Sydney New York and Paris in 1984. After we listen to you we advise and we provide options. Sometimes your interests are best served by us commencing aggressive litigation immediately. Other times for instance when a relationship with the opposition is important, mediation might be likely to achieve a more desirable result. Newtown Solicitors has extensive experience in the purchase and sale of real estate from the family home to entire home unit complexes off the plan. 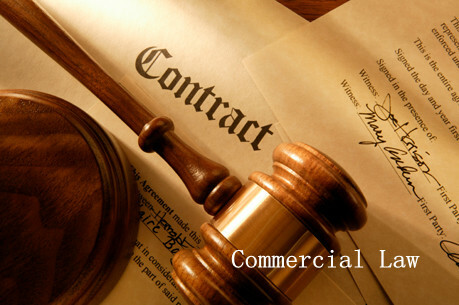 We have also acted on the purchase and sale of large commercial and rural properties. Our experience will ensure that if you are selling a property that all risks which can make a sale fall through after exchange have been advised to you so that if possible, action can be taken, to ensure a watertight contract. If you are purchasing a property we will go through with you all the checks and balances which should be undertaken, many of which should be done before exchange, to ensure that you obtain good title to the premises. In criminal matters Newtown Solicitors has represented clients who have been charged with drink-driving (pca), tax offences ,common assault, larceny, assault occasioning actual harm, malicious wounding, maliciously destroying property including by explosives , aggravated sexual assault ,attempted murder and even multiple murders. We have experience in matters involving a lack of mental capacity ranging from section 32 applications in the Local Court to a plea of not guilty by reason of mental illness in the Supreme Court New South Wales. "Under legal advice, I do not wish to make a statement at this stage." Often an accused person’s only advantage is that the prosecutor does not know if the accused will say something and if so what and when. It is important not to lose that advantage. As we practice in areas other than purely criminal Law we can appreciate that sometimes other consequences may arise as a result of criminal charges. We aim to advise you of those consequences and to assist you in those matters as well. For the corporate client Newtown Solicitors is experienced in advising and litigating on corporate structures, duties of directors and other officers of the company. We have drafted, negotiated or settled commercial contracts ranging from a contract for the supply of goods or services to building and management contracts. We have advised and acted on purchases of businesses and (shares in) corporations. We have acted on commercial and retail leases. In the current commercial climate many clients have sought our assistance in recovering debts due to them. In Family Law we have advised and appeared before the Family Court and the Federal Magistrates Court on divorce, applications for property settlement, issues of child support and time with children. We has drafted consent orders and binding financial agreements both at the commencement, during and after the parties whether they have been married or in a de facto relationship or have separated. We appreciate that legal costs are a very important consideration for most of our clients. For most matters we will endeavour to provide a firm quotation for the work we do. For matters such as litigation it is very difficult to predict the attitude of your opponent and their legal advisors and in that case we will advise you of each step which is involved in your matter and provide you with a range of fees that are likely to be incurred at each level. We will also explain to you as to whether or not, if you are to be successful whether or not you are likely to obtain an order that your opponent pay (usually only part ) of your legal costs. Especially if your opponent ’s action has some merit it is often wise to consider making an early offer to settle. 02 9550 6474 or 0414 864 385 is always available for you contact us even after hours and on weekends. If the telephone is unattended please leave a message and we will return your call as soon as possible .